CANBERRA: The importance of business events to the Australian economy and the role they play in international diplomacy should be formally recognised in Australia’s Foreign Policy White Paper, according to the Association of Australian Convention Bureaux (AACB). As Australia seeks to be more ambitious in grasping economic opportunities, we recommend investing in a national convention bid fund of up to $10 million per year to increase Australia’s competitiveness in bringing conventions and exhibitions of national significance to our cities. To ensure Australia is positioned to take advantage of opportunities in the global economy, it should grant access to the fee-free online Electronic Travel Authority visa scheme for attendees of major business events. In support of a more prosperous, peaceful and stable region, a travel bursary should be established to bring academics, scientists and business leaders from the Indo-Pacific to international conventions held in Australia. To advance Australia’s economic, science and innovation interests, it must change perceptions of Australia as a knowledge economy by funding a dedicated business and innovation marketing campaign. To grow Australia’s regional and international influence, policy settings that will attract international organisation and intergovernmental agency headquarters to Australia will also result in their conventions being hosted in country. “Business events are a crucial part of the Australian Government’s foreign policy strategy. The business events segment of the tourism industry can help build on the Government’s economic diplomacy agenda with the assistance of these targeted policy measures,” said the CEO of the AACB, Andrew Hiebl. “However, Australia’s share of the international association’s meetings market has declined to 2%, ranked behind 14 other countries, while the global market has increased by 5%. We need to reverse this trend. “Australia’s future prosperity is at risk if we fail to maximise opportunities presented by the business events industry. As such, we need further government stimulation if Australia is to reach its full potential. “Governments around the world are investing in and supporting the business events sector because such events are platforms for attracting trade, foreign investment and global talent. “Beyond the obvious economic contribution to our tourism industry, business events play an important role in connecting global industry leaders which accelerates innovation through the exchange of information and ideas. According to the Business Events Council of Australia, over 38 million people attended more than 429,500 business events across Australia in 2015/16, generating $30.2 billion in direct expenditure and 193,500 jobs. 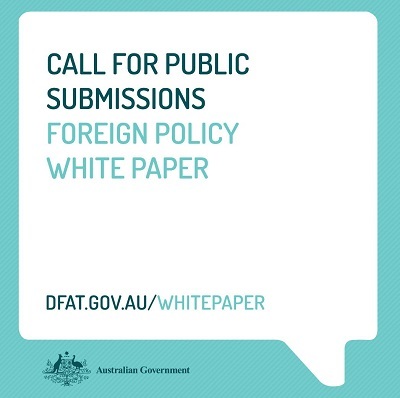 Copies of the AACB’s submission to the Foreign Policy White Paper are available on request.